This week’s The Find has discovered the formula for a perfect night. Shakespeare + An Inebriated Actor + Audience Cocktails + (Sometimes Inappropriate) Audience Participation = Debaucherous Fun. At each performance, one of the actors drinks to excess (a minimum of 5-7 shots) before, and then continues imbibing during and likely after the performance of Shakespeare. The actors improv as everyone gets more and more rowdy in this hidden library in the theater district. Weactively watched a Macbeth performance where we were felt up, ground upon, and included in the dialogue. They say, “anything can happen” and based on our antics, it does. Did you know the Common Core dictates that Shakespeare is the only reading required of American High School kids? The Find agrees and is making this new spin on Shakespeare part of our Common Core of required activities! After the show, walk (or drive) up to Danji for small plates of delicate and delicious Korean food. Of note, Danji is the first Korean restaurant to earn a Michelin star in NYC. This is not surprising given that the chef/owner Hooni Kim is a veteran of Daniel and Masa. The restaurant is well designed, the music is upbeat, the crowd stylish, and most importantly, the food is inventive and delicious. 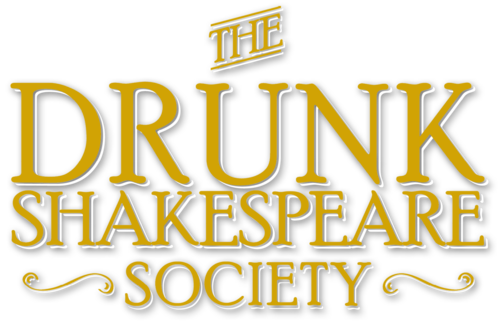 Brush up on your Shakespeare and consider The Drunk Shakespeare Society and Danji Found!